I am a cognitive scientist. I study the human mind. Our minds are neural minds. The mind is physical, constituted by the neural circuitry of our brains and bodies. Most thought is unconscious, since we don’t have conscious access to our neural circuitry. Conscious thought is a small part of thought — estimates by neuroscientists vary between a general “most” to as much as 98%, with consciousness as the tip of the mental iceberg. We do know that people tend to make decisions unconsciously before becoming consciously aware of them. How the neural unconscious functions in decision-making is vitally important for politics. Our fixed worldviews are made up of complex ideas carried our by relatively fixed neural circuitry. Our worldviews determine how we think the world operates, as well as how we think it should operate. In short, our worldviews are constituted by neural circuitry for what we understand as normal, and what we take as right and wrong. There are, of course, radical differences in worldview, and we see those differences in politics, religion, culture, and so on. Here is the crucial fact about worldview differences: We can only understand what our brain circuitry allows us to understand. If facts don’t fit the worldviews in our brains, the facts may not even be noticed — or they may be puzzling, or ignored, or rejected outright, or if threatening, attacked. All of these happen in politics. A global warming denier does not say, “I am denying science.” The facts just don’t fit his worldview and don’t make sense to him or her. Consider some all too real examples. If you have an evangelical religious belief that the End Days are near, when the believers will be swept up to Heaven and the evil people left behind destroyed. The issue will be whether you will be saved, not the planet. Suppose you believe, as many do, that laissez-faire capitalism is both natural and supremely moral. The most important, natural, and right thing to do would be to maximize your profits, and those of the firms you invest in, while you are alive on earth. Then it will make sense to maximize fossil fuel profits. Passing them up for the sake of the planet will not make sense. Suppose you are a small-time rancher with a small herd of cattle in a remote area of a red state, living next to a federal nature preserve where there are endangered species. You work hard, have a hard time making a living, cannot afford expensive feed for you cattle, and think you should be able to have your cattle graze on the “unused” publicly-owned land next door so you can make ends meet. So you just tear down the fence and drive your cattle in. The feds tell you to leave, but the Republican governor tells the state police to leave you alone, and the Republican elected judge rules for you over the government. You feel morally vindicated. You can only make sense of what the neural circuitry characterizing your worldview allows you to make sense of. A worldview is an overall conceptual framework you use to understand the world. It is made up of mental “frames,” which are used to understand situations. A restaurant frame contains waiters/waitresses), customers, tables and chairs, a chef, a menu, food, a check, and so on, together with expectations about what each will do. Political worldviews are complexes of political frames that fit together coherently. Words have meanings that are defined relative to conceptual frames. If you hear “Here’s the dinner menu”, you know you’re in a restaurant. If you hear, “What’s the easiest way to eliminate the Department of Education?”, you know you’re with the Trump transition team. In politics, institutions, and cultural life, words tend not to be neutral. Instead their meanings are defined with respect to political worldviews. There are conservative and liberal vocabularies. “Save the planet!” is liberal. “Energy independence” is a conservative ‘dog whistle.’ It means dig coal and drill for oil and gas, even on public lands, and don’t invest seriously in solar and wind. Some might think those are politically neutral expressions. If you take them literally and ignore worldview differences, you might think everyone should want to save the planet and everyone should want energy independence. Liberals want literal energy independence, but through sustainable energy like solar and wind. Conservatives don’t believe in man-made climate change and want energy independence through maximizing coal, gas, and oil. Politically charged meanings put the other side in a bind. The opposition cannot answer directly. You won’t hear conservatives say “I don’t want to save the planet,” nor liberals say, “I’m against energy independence.” Instead they have to change the frame. Think for a moment of the conservative Leadership Institute’s 20th anniversary boast that they had trained over 159,000 local conservatives spokespeople from all over America in 20 years. Think of 159,000 trained conservative local leaders and spokespeople spread over all those red states on the 2016 presidential electoral map, in addition to Fox News and Rush Limbaugh. That is how working white men and women, who might have started out as liberals or moderates years ago, gradually became more conservative by hearing conservative language day after day. And it was through such repetitive exposure every day to Trump’s forceful language and forceful image, through free media and social media, that a great many people were affected. Much of unconscious thought is metaphorical. Not fanciful or “poetic” metaphors, but everyday ones we generally don’t notice. We understand More as being Up, as in “Turn up the radio,” which does not mean to throw it up to the ceiling. We understand achieving goals as reaching destinations: “You’ll get there. There’s nothing standing in your way. We can see the light at the end of the tunnel.” The many metaphorical expressions reveal the presence of a conceptual metaphor, a mode of metaphorical thought. There’s nothing special about metaphorical thought. Given commonplace experience in the world and given a neural system, thousands of everyday metaphorical thoughts arise spontaneously. It happens around the world, and it mostly goes unnoticed, carried out by your neural system. Certain kinds of metaphorical thought, which go largely unnoticed, are central to our politics, as we shall see. Briefly, the polls failed because they work by demography, using census data, and other readily accessible data. The census tells us where people live, their age, gender, ethnicity, educational level, marital status, income level, etc. These are objective data, and this kind of data is easy to get and sample. But demographic data leaves out what is most important in elections and in political polling generally: Values! One’s sense of right and wrong. That omission was crucial in this election. It is not just crucial in polling. It is also crucial in journalism. Most people in the press also talk as if demography were the gold standard of political truth: the suburban educated women, the Hispanics, the white working class — all defined by demographics. But the relationship between voting and demographics is not one-to-one. This election showed that in spades. Many progressives think the same way: Demography and issues — issue by issue. Democrats looking for donors will ask, “What is your most important issue?” Instead, the values that define one’s deepest identity are what matters most. Polling issue-by-issue misses the overall values that are all too often primary in elections. Part of the reason is that the causal link between global warming and weather disasters is not direct, but is a result of systemic factors in the ecosystem. High temperatures over the Pacific produce more evaporation, which means high energy water molecules go into the air, blow northeast and in winter come down as snow in Washington — more than ever before! The weather disasters throughout the country — severe hurricanes, floods, droughts, fires, — are often systemically caused by global warming and they should be named as such — a global warming hurricane, a climate change flood, a global warming drought, global warming fires — with illustrations of the systemic steps involved in the cause. To establish a frame, you need a name. I’ve been studying such matters from the perspective of the neural mind for two decades, starting with Moral Politics (now in its Third Edition) and in seven books and dozens of papers, as well as with those doing survey and experimental research. Because this perspective has not been part of the public discourse, it is worth going over in some detail. When a political leader proposes a policy, the assumption it that the policy is right, not wrong or morally irrelevant. When political leaders have opposing policies, that means they have opposing moral worldviews. Why do voters vote their values? Everyone likes to think of himself or herself as a good person. That means that your moral system is a major part of your identity — who you most deeply are. Voting against your moral identity would be a rejection of self. That is why poor conservatives vote against their material interests. They are voting for their moral worldviews to dominate, and for public respect for their values. In the 1990’s, as part of my research in the cognitive and brain sciences, I undertook to answer a question in my field: How do the various policy positions of conservatives and progressives hang together? Take conservatism: What does being against abortion have to do with being for owning guns? What does owning guns have to do with denying the reality of global warming? How does being anti-government fit with wanting a stronger military? How can you be pro-life and for the death penalty? How do these conservative positions make sense together? Progressives have the opposite views. How do their views hang together? The answer came from a realization that we tend to understand the nation metaphorically in family terms: We have founding fathers. We send our sons and daughters to war. We have homeland security. The conservative and progressive worldviews dividing our country can most readily be understood in terms of moral worldviews that are encapsulated in two very different idealizations of family life: The Nurturant Parent family (progressive) and the Strict Father family (conservative). Why Idealizations of the Family? What do social issues and their politics have to do with idealizations of the family? We are first governed in our families, and so we grow up understanding governing institutions in terms of the governing systems of families. Those governing institutions can be classrooms, teams, armies, churches, businesses, and so on. Nurturant and Strict family models pervade our culture. Nurturance starts with empathy. In nurturant families, caring for a child requires knowing what the child needs and wants. It requires open, two-way conversation. Parents have to take care of themselves if they are to care of their children. For their well-being, children need clear limits and guidelines (Don’t put your hand on a hot stove. You’ll get burned. ), personal responsibilities (“Brush your teeth”), and family responsibilities (“Take care of your sister. Set the table.”) Children also need to empathize with others and act on that empathy. If not, as Barack Obama said his 2008 Father’s Day speech, we’ll have a generation of people who don’t care about anybody else. Children also need to be fulfilled in life, and for this they need education, exercise, good health, a connection to nature, and a warm social life. And if some children require special attention, either because they are very young, or ill, or injured, or have other inherent problems, the rest of the family has to step up to help out. These family values map via metaphor onto progressive political values: Citizens care about other citizens and act through their government to provide public resources for all, for both businesses and individuals. That’s how America started. The genius of the founding fathers centered on public resources. The public resources used by businesses were not only roads and bridges, but public education, a national bank, a patent office, courts for business cases, interstate commerce support, and of course the criminal justice system. From the beginning, the private depended on public resources — both private enterprise and private life. In private life, there were laws to protect freedoms and basic rights, as well as resources like police protection, public education, a national currency, access to banks for loans, courts for redress of grievances, and goods made available through interstate commerce. Over time public resources have grown to include sewers, water and electricity, government protections in the form of “regulations” to keep unscrupulous corporations from harming the public, and to keep banks, mortgage holders, and investment houses from cheating the public. As commerce grew, the need for protective regulations grew into whole regulatory agencies of government. Modern life now depends on even more public resources, such as research universities and research support: computer science (via the NSF), the internet (from ARPA), pharmaceuticals and modern medicine (via the NIH), satellite communication (NASA and NOAA), and GPS systems and cell phones (satellite systems maintained with security and unbelievable precision by the Defense Department). Private enterprise and private life utterly depend on public resources. Not on “the government.” But on “the public.” What these public resources provide is freedom: freedom to start and run a business, and freedom in private life. You’re not free if you are not educated; your possibilities in life are limited. You’re not free, if you have cancer and no health insurance. You’re not free if you have no income — or not enough for basic needs. And if you work for a large company, you may not be free without a union. Unions free workers from corporate servitude — free working people to have a living wage, safety on the job, regular working hours, a pension, health benefits, dignity. All of this arises from basic progressive values — empathy and care for one another — at the level of the nation. In the strict father family, father knows best. He knows right from wrong and has the ultimate authority to make sure his children and his spouse do what he says, which is taken to be what is right. Many conservative spouses accept this worldview, uphold the father’s authority, and are strict in those realms of family life that they are in charge of. When his children disobey, it is the strict father’s moral duty to punish them painfully enough so that, to avoid punishment, they will obey him (do what is right) and not just do what feels good. Through physical discipline they are supposed to become disciplined, internally strong, and able to prosper in the external world. What if they don’t prosper? That means they are not disciplined, and therefore cannot be moral, and so deserve their poverty. This reasoning shows up in conservative politics in which the poor are seen as lazy and undeserving, and the rich as deserving their wealth. Responsibility is thus taken to be personal responsibility not social responsibility. What you become is only up to you; society has nothing to do with it. You are responsible for yourself, not for others, who are responsible for themselves. On the whole, conservative policies flow from the strict father worldview and this hierarchy. Trump is an extreme case, though very much in line with conservative policies. There are political policies that follow from strict father morality. As we discuss them, please bear in mind that many if not most conservatives are bi-conceptual, that is, that have a strict father major worldview and a nurturant minor worldview on some issues or other. In-Group Nurturance: More importantly, it is common for conservatives to show in-group nurturance — care for members of some in-group. What counts as an in-group varies. The minimal in-group is your family. The in-group can be members of your church or your religion — and the church or religion may offer help to the needy members of the church or religion. The in-group can be in the military, with military family getting housing, education, health care, and cheaper goods on the military base, and where platoon-members (“bands of brothers”) are taken care of and never left behind. In small towns all over America where people are mostly conservative, the in-group can be community members and whoever lives in the town. The small-town nurturance for long-term neighbors can override differences in politics, race, ethnicity, gender, sexuality, and so on. This means that in national or state politics, one may be a typical conservative, but those political views can be adjusted locally by moderation or in-group nurturance. Part of the conservative revolution of 1994 was the move by Newt Gingrich to rid the Republican party of moderates by running extreme conservatives against them in primaries. The most obvious strict father political policies are the following, group by group. God above Man: Churches get major tax breaks, and seek public funding for religious schools. Men Above Women: Men get to decide on reproduction. Against Planned Parenthood, abortion, and morning-after pills. For laws requiring spousal and parental notification prior to abortion. Marriage between a man and a woman: no gay marriage. Child-rearing should follow the strict father model. Religious Christmas scenes in public places funded by public money. Large crosses erected on public land. The Ten Commandments in courtrooms. Political candidates must proclaim their religion. Corporations and those who own and run them are metaphorical strict fathers. Corporations are “persons” who can engage in political lobbying, who seek to maximize their profits, set rules for their employees and can punish them in various ways, ultimately by firing them or laying them off. Corporate conservatives want laissez-faire free markets, where wealthy people and corporations set market rules in their favor with minimal government regulation and enforcement. They see taxation not as investment in publicly provided resources for all citizens, but as government taking their earnings (their private property) and giving the money through government programs to those who don’t deserve it. This is the source of establishment Republicans’ anti-tax and shrinking government views. This version of conservatism is quite happy with outsourcing to increase profits by sending manufacturing and many services abroad where labor is cheap, with the consequence that well-paying jobs leave America and wages are driven down here. They profit from many cheap imports important for business profits, such as steel, building materials, electronic parts, etc. They also want to privatize public resources as much as possible: eliminate public schools, publicly financed health insurance, drill and mine on public lands, build private highways, and so on. Many members of the white working class have strict father morality, even those in unions. Many have their strict father views limited to their home life, but many have them as a major worldview. As conservatives, they believe in individual responsibility not government “handouts;” they may resent union dues and prefer “right to work” laws; and they may implicitly accept the moral hierarchy and believe they are superior to nonwhites, Latinos, nonChristians, and gays and should be in a higher financial and social position. Conservative women may accept their position as inferior to their men, but still see themselves above the rest of the hierarchy. The white working class has been hit hard by income inequality, globalization and outsourcing, computerization, the decline of coal mining, low-wage chain stores driving out small business, and if older, ageism. They are largely uneducated and see themselves as looked down on by the educated “elite” who tell them that everyone should go to college to merit today’s jobs. They also resent “political correctness,” which directs resources to those who need them even more, but are lower on the conservative moral hierarchy. They want the respect of being on the right side of politics, of having their moral views— and hence their deepest identity — confirmed. Nurturant parent morality puts a premium on helping those in the family who need it the most: infants, sick or injured children, and so on. In liberal politics, those lower on the conservative moral hierarchy are seen to have been victimized by those who are more powerful. The result is a reverse moral hierarchy, in which the less powerful are more deserving of assistance than the more powerful: the poor more than the non-poor, non-white more than white, women more than men, immigrants more than residents, and so on. The white working class calls this view “political correctness.” It leaves out poor whites, especially in nonurban areas, who have had to face the problems of a culture that, as we have just seen, has been devastated by corporate greed (income inequality, globalization and outsourcing, computerization, and low-wage chain stores driving out small business) and factors like the decline of coal mining. All three of these groups — evangelicals, corporatists, and the white working class correctly saw the Supreme Court issue as central to upholding their values across the board, on all issues. Corporatist Republican leaders tended to study business economics in college, and as a result studied marketing. Marketing professors study the mind and how people really think: using frames, metaphors, narratives, images, and emotions — mostly applied to advertising. These Republican leaders learned how to market their ideas. Progressives who go to college with a primary concentration on politics tend to study political science, law, public policy, and economic theory. Those courses of study almost never include cognitive science, neuroscience, and cognitive linguistics — and so progressives interested in politics don’t learn about the Neural Mind, that is, about unconscious thought, frames, conceptual metaphors, moral worldviews, the role of language, etc. and therefore, if you give everybody the facts, they ought to all reason to the right conclusion. This is an utterly false theory of reason — taught as rationality and “critical thinking.” It was vitally important during the Enlightenment because it taught that people could think for themselves and did not have to follow the thinking the kings and religious leaders. One might like it to be true, but it isn’t. The polls, the media, and the Democratic Party all failed to understand conservative values and their importance. They failed to understand unconscious thought and moral worldviews. While hailing science in the case of climate change, they ignored science when it came to their own minds. The pollsters, given easy access to demographics via census and other data, came up with their own view of mind, that demographics reflects public opinion, and that public opinion understood this way, drives elections. This amounts to a strange demographic theory of mind, that demography determines thought. The demographic theory of mind is naturally paired with the view that people simply vote their material interests, that their interests vary, and hence that issues are separable. This is widely assumed, despite the well-known facts that poor conservatives and rich liberals of often vote against their material interests. But it does make polling — and fund raising — easier. Just ask people what their most important issues are, or to what degree that are for or against a particular policy. This type of polling has its justifications. First, people with similar worldviews can tend to cluster in some demographic categories. Second, most of polling is done by advertisers selling products. If the polls miss by differences as small as those between Trump and Clinton, they are doing well by their clients. Incidentally, polling methodology used in advertising leads to the view that candidates are products, to be sold like cars, pharmaceuticals, and beauty products, and have to establish a recognizable, popular brand. It is true that moral worldviews generalize over specific issues, and so a specific issue can activate a general worldview. But the general moral worldview is not studied or discussed. There is a way out that may be simple, but need to be tested. One can include questions about values, even if the values are unconscious. The technique was developed by Elisabeth Wehling, Matt Feinberg (U. of Toronto), Laura Saslow (U. of Michigan), and myself. It was based on the conceptual metaphor of the Nation As Family, with two types of families — strict and nurturant. Technically, a conceptual metaphor is a neural mapping, linking the frame structure of one domain (e.g., the values of a type of family) to another domain (e.g., political views about the nation). Beginning with the theory proposed in my 1996 book, Moral Politics, we constructed two mappings linking family values to political values. We separated the family values from the political values and randomized each. We then asked, in surveys and experiments, the randomized questions to see if the correlations fit the predications of the mappings. The correlations were overwhelming, and are reported in Elisabeth Wehling’s 2013 doctoral dissertation, A nation under joint custody: How conflicting family models divide US-politics. The basic idea is that of a Moral Politics Scale that can be used in surveys, and that might be included in future polls. Questions about family values can be used as indicators of the moral values used in political worldviews. Other studies have been done and are in the publication pipeline. A few early studies do not, and should not, create a field, but it is a beginning. Polling studies using these ideas need to be done. Democrats and most of the media looked upon Trump as a clown, a dimwit, a mere jerk, a reality show star, who did not understand the issues and who could not possibly win when he was insulting so many demographic groups. I am anything but a Trump fan, but I estimated that he would get about 47% of the vote. Although I was sure he wouldn’t quite win, I kept warning people that he could, especially given the Democrats’ failure to understand the role of values. Nine months before the election I wrote about how Trump used the brains of people listening to him to his advantage. Here is a recap of how Trump does it, with examples taken from his campaign. Unconscious thought works by certain basic mechanisms. Trump uses them instinctively to turn people’s brains toward what he wants: Absolute authority, money, power, and celebrity. Words are neurally linked to the circuits that determine their meaning. The more a word is heard, the more the circuit is activated and the stronger it gets, and so the easier it is to fire again. Trump repeats. Win. Win, Win. We’re gonna win so much you’ll get tired of winning. Framing: Crooked Hillary. Framing Hillary as purposely and knowingly committing crimes for her own benefit, which is what a crook does. Repeating makes many people unconsciously think of her that way, even though she has always been found to have been honest and legal by thorough studies by the right-wing Bengazi committee (which found nothing) and the FBI (which found nothing to charge her with.) Yet the framing worked. There is a common metaphor that Immorality Is Illegality, and that acting against Strict Father Morality (the only kind off morality recognized) is being immoral. Since virtually everything Hillary Clinton has ever done has violated Strict Father Morality, that makes her immoral to strict conservatives. The metaphor makes her actions immoral, which makes her a crook. The chant “Lock her up!” activates this whole line of reasoning. Well-known examples: When a well-publicized disaster happens, the coverage is repeated over and over, and watched on tv and read about many times. Neurally, the repetition activates the frame-circuitry for it over and over, strengthening the synapses with each repetition. Neural circuits with strong synapses can be activated more easily that those with weak synapses, and so the probability that they will be activated is higher. And so the frame is more likely to be activated. Repeated examples of shootings by Muslims, African-Americans, and Latinos make it seem probable that it could happen to you. It thus raises fears that it could happen to you and your community — despite the miniscule actual probability. Trump uses this technique to create fear. Fear tends to activate desire for a strong strict father to protect you — namely, Trump. Conventional metaphorical thought is inherent in our largely unconscious thought. Such normal modes of metaphorical thinking are not noticed as such. Consider Brexit, which used the metaphor of “entering” and “leaving” the EU. There is a universal metaphor that states are bounded regions in space: you can enter a state, be deep in some state, and come out of that state. If you enter a café and then leave the café, you will be in the same location as before you entered. But that need not be true of states of being. But that was the metaphor used with Brexit; Britons believed that after leaving the EU, things would be as before when the entered the EU. They were wrong. Things changed radically while they were in the EU. That same metaphor is being used by Trump: Make America Great Again. Make America Safe Again. And so on. As if there was some past ideal state that we can go back to just by electing Trump. There is also a metaphor that A Country Is a Person and a metonymy of the President Standing For the Country. Thus, Obama, via both metaphor and metonymy, can stand conceptually for America. Therefore, by saying that Obama is weak and not respected, it is communicated that America, with Obama as president, is weak and disrespected. The inference is that it is because of Obama. The corresponding inference is that, with a strong president like Trump, the country should be strong, and via strict father reasoning, respected. The metaphor that The nation Is a Family was used throughout the GOP convention. We heard that strong military sons are produced by strong military fathers and that “defense of country is a family affair.” From Trump’s love of family and commitment to their success, we are to conclude that, as president he will love America’s citizens and be committed to the success of all. There is a common metaphor that identifying with your family’s national heritage makes you a member of that nationality. Suppose your grandparents came from Italy and you identify with your Italian ancestors, you may proudly state that you are Italian. The metaphor is natural. Literally, you have been American for two generations. Trump made use of this commonplace metaphor in attacking US District Court Judge Gonzalo Curiel, who is American, born and raised in the United States. Trump said he was a Mexican, and therefore would hate him and tend to rule against him in a case brought against Trump University for fraud. Then there is the metaphor system used in the phrase “to call someone out.” First the word “out.” There is a general metaphor that Knowing Is Seeing as in “I see what you mean.” Things that are hidden inside something cannot be seen and hence not known, while things are not hidden but out in public can be seen and hence known. To “out” someone is to make their private knowledge public. To “call someone out” is to publicly name someone’s hidden misdeeds, thus allowing for public knowledge and appropriate consequences. I could go on, but I think you get the idea. Our neural minds think in certain patterns. Trump knows how to exploit them. Whatever other limitations on his knowledge, he knows a lot about using your brain against you to acquire and maintain power and money. It is vitally important for the public to be aware of how their brains can be used against them. Can the media do such a job? There are many forces militating against it. First, there is obvious pressure on those reporting on politics in the media to assume that thought is conscious and not to talk about matters outside of public political discourse, that is, don’t talk about things your audience can’t understand. Second, many in the media accept Enlightenment Reason. It is common for progressive pundits to quote conservative claims in conservative language and then argue against it, assuming that negating a frame will wipe it out, when instead negating a frame activates and strengthens the frame. They are ignoring the warnings of Don’t Think of an Elephant! Third, there is the metaphor that Objectivity is Balance, that interviews are about opinions and that opinions should be balanced. Fourth, there are political and economic levers of power that are being used on the media. Trump is choosing the new members of the Federal Communications Commission, which has the power to take away broadcast licenses. The Congress has the power of the purse over National Public Broadcasting and one can already see where NPR correspondents are hesitant to challenge lies. Similarly, corporate advertisers have that power over radio and tv stations, as do their corporate owners. Fifth, there are ratings, which mean advertising money. The head of CBS, Leslie Moonves, for example, said that CBS benefitted by giving Trump free airtime during the campaign. “It may not be good for America, but it’s good for CBS,” he said. Sixth, it is virtually impossible during an interview to do instant fact-checking and constantly interrupting the interviewee to confront his lies, or at least report them. It would of course lead the interviewee to refuse future interviews with that reporter or that station — or keep him or her out of the White House Press Corps. The result is media intimidation and steps toward the loss of the free press. The question is whether people in the media can join together in courage when their careers, and hence their livelihood, are threatened. One possibility is for journalists to used more accurate language. Take government regulations. Their job is to protect the public from harm and fraud composed by unscrupulous corporations. The Trump administration wants to get rid of “regulations.” They are actually getting rid of protection. Can journalists actually say they are get rid of protections, saying the word “protection,” and reporting on the harm that would be done by not protecting the public. Can the media report on corporate poisoning of the public — through introducing lead and other cancer-causing agents into the water through fracking and various manufacturing processes, through making food or toiletries that contain poisonous and cancer-causing ingredients, and on and on. The regulations are there for a purpose — protection. Can the media use the words POISON and CANCER? The public needs to know. Seventh, there are science-of-mind constraints. Reporters and commentators are expected to stick to what is conscious and with literal meaning. But most real political discourse makes use of unconscious thought, which shapes conscious thought via unconscious framing and commonplace conceptual metaphors, as we have seen. Can the media figure out a way to say what is in this article? More than ever we need courage and imagination in the media. It is crucial, for the history of the country and the world, as well as the planet. A strong American Majority movement is necessary, and its backbone has to be a citizens’ communication system — or systems — run through the internet, framing American values accurately and systemically day after day, telling truths framed by American majority moral values — and appealing honestly and forthrightly to those in-group nurturant values in small towns across America. The idea that must be brought across is empathy for those in your in-group, your town. This is basic progressive thought: citizens care about citizens and provide public resources for all, maximizing freedom. It fits in-group nurturance. And it undermines — rather than negates — strict father morality. There are certain things that strict fathers cannot be: A Loser, Corrupt, and especially not a Betrayer of Trust. Trump lost the popular vote. To the American majority, he is a Loser, a minority president. It needs to be said and repeated. Above all, Trump is a Betrayer of Trust. He is acting like a dictator, and is even supporting Putin’s anti-American policies. He is betraying trust is a direct way, by refusing to put his business interests in a blind trust. By doing so, and by insisting on his children both running the business and getting classified information, he is using the presidency to make himself incredibly wealthy — just as Putin has. This is Corruption of the highest and most blatant level. Can the media say the words: Corruption, Betrayal of Trust? He ran on a promise to end corruption, to “drain the swamp” in Washington. Instead, he has brought a new and much bigger swamp with him — lobbyists put in charge of one government agency after another, using public funds and the power of the government to serve corporate greed. And the biggest crock in the swamp is Trump himself! The Trump administration will wreak havoc on the very people who voted for him in those small towns — disaster after disaster. It will be a huge betrayal. The $500 billion in infrastructure — roads and bridges, airports, sewers, eliminating lead water pipes — will probably not make it to those thousands of small rural towns with in-group nurturance for the townspeople. How many factories with good-paying jobs can be brought to such towns? Not thousands. Many of those who voted for Trump will inevitably be among the 20 million who will lose their health care. And they will become even further victims of corporate greed — more profits going to the top one percent and more national corporations, say, fast food and big-box stores paying low wages and offering demeaning jobs will continue to wipe out local businesses. Will this be reported? Will it even be said? And if so, how will it be said in a way that doesn’t wind up promoting Trump? The American majority must create an online citizen communication network — or multiple networks — to spread its positive American values and truths as antidotes to those small towns with in-group nurturance as the Trump swamp swamps them! The message is not merely negative, they are being betrayed. That’s the Don’t Think of an Elephant! trap. Rather it is that the town’s in-group nurturance is nurturance. It works because care is morally right. Right now the majority is fighting back, pointing out what is wrong with Trump day after day. In many cases, they are missing the message of Don’t Think of an Elephant! By fighting against Trump, many protesters are just showcasing Trump, keeping him in the limelight, rather than highlighting the majority’s positive moral view and viewing the problem with Trump from within the majority’s positive worldview frame. To effectively fight for what is right, you have to first say what is right and why. George Lakoff is Emeritus Professor of Cognitive Science and Linguistics at the University of California at Berkeley, and Director of the Center for the Neural Mind & Society (website: cnms.berkeley.edu). 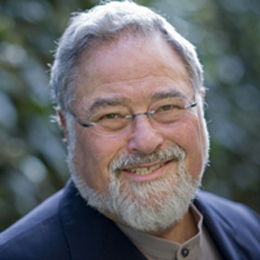 His many books and articles can be found at his website: www.georgelakoff.com. He is one of the most cited of American scholars, with more than 130,000 citations in scholarly journals — the second most at UC Berkeley. The citations of his work can be found at the Google Scholar Citation Index: scholar.google.com/citations?user=KEU0vpcAAAAJ&hl=en. Not sure how there are no comments yet. Loved this article – very insightful, and it’s Changing how I think about politics and the media. This makes more sense, and frames the root of the problem more clearly, than anything I’ve read since the election. Just want to say Thank you for sharing this knowledge. It’s been a complete game changer for me mentally and I’ve been sharing it with as many people as I can. A lot to ponder here. Will share.